The journal Development Policy Review will publish in May my article on the types of aid donors and their impact on institutional change. It will have been a little over two years since I first presented the argument at the Midwest Political Science Association with the help of Conan of Cimmeria, Saruman the White, the Black Knight, and the criminal genius Vizzini. Continue reading Is your development agency Conan or Saruman? I want to write at some point about 2 in some detail. But right now I wanted to offer a little teaser about 3. 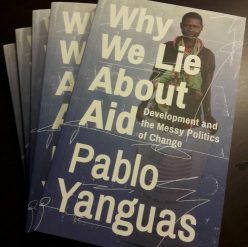 This is one of the most exciting books about development aid in many years: original and timely, closely argued and evidenced, and beautifully written. I have finally managed to complete the revisions, and it is now up to the editor to give it a final green light. If everything goes well, we are talking about a February 2018 release date in paperback. Both ESID and GDI are super excited about it, so expect a bit of promotional work in the second half of this year. Stay tuned for more previews. How do aid donors interact with the political settlements of the countries in which they operate? Do they have any kind of moral obligation to act in certain ways but not others? If so, what logic of assistance should guide their choice of behaviour? The question of moral responsibility in foreign aid and poverty reduction is often approached through the lens of the ‘duty of assistance’: whether the existence of wealthy and poor individuals and states implies an obligation of the former to aid the latter, despite their distant location or the fact that they may be total strangers (Chatterjee, 2004). 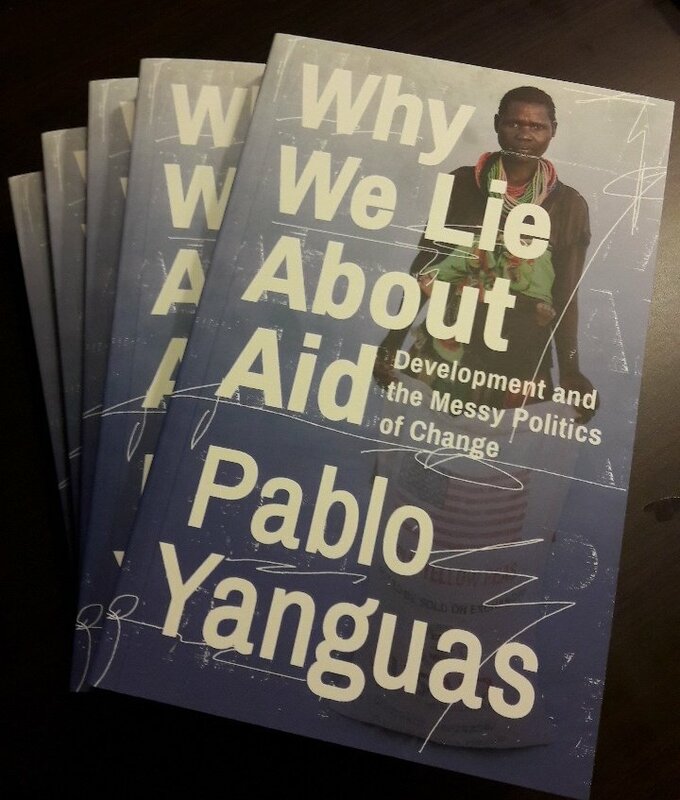 Notwithstanding its many contributions and interesting debates, the ethics of assistance as a field is far too abstract for the question of moral responsibility of aid in political settlements. Those scholars usually address ‘why’ questions – why assist the distant needy – whereas the real question emerging from this article is ‘how’ – once donors are already supplying aid to a given developing country, how should they design their interventions. As opposed to the first-principle ethics outlined by John Rawls or Peter Singer, what we need is a framework for analysing specific decisions on the basis of concrete moral scenarios: an applied ethics of assistance. Political settlement analysis – like much of the political economy of development – highlights the political underpinnings of policy and institutional choices. Understood as a critique of the ‘good governance’ agenda, political settlements theory reveals that the underlying distribution of power in society will be compatible with some sorts of policy reform but not others: hence the logical implication for reformers to seek changes that are politically feasible instead of the overall reform of the political settlement itself. The discourse on ‘good enough governance’ (Grindle, 2004, 2007), ‘square peg reforms in round hole governments’ (Andrews, 2012, 2013), and ‘good fit, not best practice’ all seem to support what Brian Levy calls ‘working with the grain’ (Levy, 2014). However, the jump from analysis to policy implication masks a difficult choice: whether to support governments and regimes in pursuit of immediate results, or whether to work with fringe or subordinate actors who may best represent the needs of the poor and thereby invest in their long-term empowerment. Political settlements theorists – like much of the development industry – appear to believe that this is a calculated risk, and in this belief they are espousing (knowingly or unknowingly) a utilitarian theory of ethics. However, contexts for operations are hardly ever calculable: uncertainty about actor preferences and available courses of action is more likely to be the norm. This undermines calculability and forces aid actors to make choices on the bases of values and judgment. Would they then reach the same policy implications? How do aid donors interact with the political settlements of the countries in which they operate? Do they have any kind of moral obligation to act in certain ways but not others? If so, what logic of assistance should guide their choice of behaviour? This paper aims to establish a basic conceptual framework for answering these questions. It is inspired by the strange irony that political settlements theory has been financially promoted by donors – in particular the United Kingdom Department for International Development (DFID) – and yet the researchers who work on refining and testing the theory tend to use it as a national-level analytical tool which does not adequately address the influence of such transnational forces as aid donors themselves. This is not a new critique of political settlements, but in this paper I hope to contribute the seeds of a new analytical map for developing some preliminary responses to the original sin of donor-funded political settlements research. In addition, I question whether the conventional practical implications drawn from this kind of work withstand ethical scrutiny. This is not to say that the proponents and users of the theory are morally suspect; only that a bit more attention may need to be paid to the ethics of assistance which arise from settlements research. From my upcoming ESID working paper “The role and responsibility of foreign aid in recipient political settlements”.